I recently read an article that focused on the importance of continued learning as an essential element of individual growth. This made me reflect on the meaning of continued learning and how it intersects through our lives. To me, it is more about self-awareness and learning through failure than it is subject matter expertise. Just a few weeks ago, I found myself in a situation where I was forced to look inward. It was uncomfortable and unfamiliar. I had to ask for help and I had to have less fear about failing and more confidence in at least attempting. 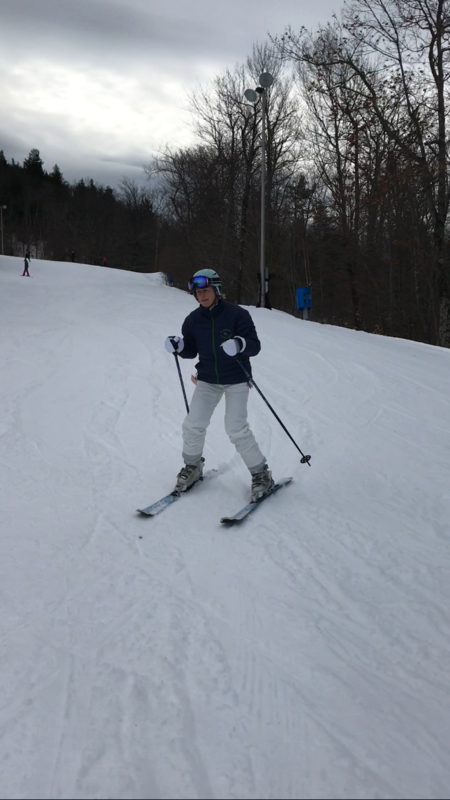 I was learning how to ski as an adult. I had every excuse in the book to not go. But it was something I had always wanted to do. I wanted to change my situation and this meant challenging myself. Our co-founder and partner, Jennifer Wilson hit this home for me once when she said that to truly grow, you must be challenged and stretched in ways that make you uncomfortable. If you really think hard on that statement, it is profound. How committed am I to change this? What have I done to contribute to the situation and what responsibility can I take to change it? What steps can I take today to become better or different? Answering these questions forces us to be honest with ourselves. It makes us vulnerable. It means admitting that we are the only one responsible for changing our circumstances. Sadly, we often find this exercise too uncomfortable. It is much easier to blame others or use excuses than it is to identify yourself as a contributor and take responsibility. Thus, we continue to find ourselves in the same patterns of behavior or in the same types of relationships. With my skiing expedition, I had one of two choices. Either stay in the lodge as I always had done and rationalize that I should have learned earlier and it was too late, or just go for it. I recognized that I had to take the responsibility to change the situation, and overcome the fear of being vulnerable. In doing this, I was left with a feeling of accomplishment, and confidence to tackle the next uncomfortable situation. Going against what felt more comfortable, and mustering all the courage I could find, I went for it. I suited up, put my boots and helmet on and said, “no turning back now!” Out of the lodge we walked. There is one thing that I believe made all the difference. Before going for it, I made myself vulnerable to my husband and the person coaching me. I told them both that I was scared. Scared to fall, scared to fail and mostly, that I was scared that I would disappoint them. Ironically, getting that off my chest before walking out of the lodge seemed to build my confidence and empowered me to tackle the challenge, which went well. I am looking forward to hitting the slopes even more next year! As I reflect now compared to earlier in my career, I realize that my younger self was perhaps, self-limiting. On the cusp of completing my MBA in Leadership, along with my ongoing professional and personal journey, I realize how I held myself back from growth and how I could have been a better leader. I did not understand then the importance looking inward, taking responsibility and also taking risks. Where are you holding yourself back? Or, where were you holding yourself back but have since broken through? We’re interested in your story!